Impressionist art for sale online by graphic impressionist Solveig. 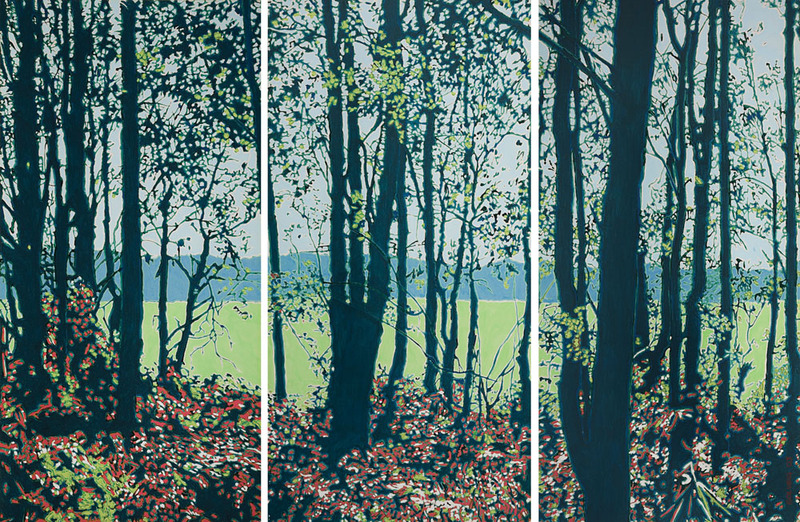 This triptych finds you at the forest edge looking out onto a sunlit paddock. It’s early morning and the sun is drawing up the mushrooms. In the cool and the dark, safe and comfortable from the November heat, we wait.